It wasn’t so long ago that the only available treatments for chronic vision problems were prescription lenses, which were limited in their effectiveness. Glasses and contacts were able to correct milder vision problems such as nearsightedness and astigmatism (a deviation in the curvature of the lens), but patients with more serious conditions like cataracts or glaucoma were left with only a handful of primitive treatment options to address their conditions. Since then medical science has made enormous strides, delivering us a much wider, more affordable range of remedies for ailments once considered untreatable. Many of these strides are directly related to surgical eye care – a field that has become far more sophisticated in only the last few decades. One of the most popular and well-known types of eye surgery is LASIK (Laser-Assisted In Situ Keratomileusis), which uses a precision laser to reshape the cornea, improving its focus. But there are many more types of eye surgery available at Florida Eye Specialists and Cataract Institute that you may not know about. Let’s discuss a few of them here and explore what they can do for your eye health. Cataracts are extremely common among senior citizens, affecting more than half of people over age 60. This condition causes the lens of the eye to become cloudy and unable to properly focus light onto the retina. 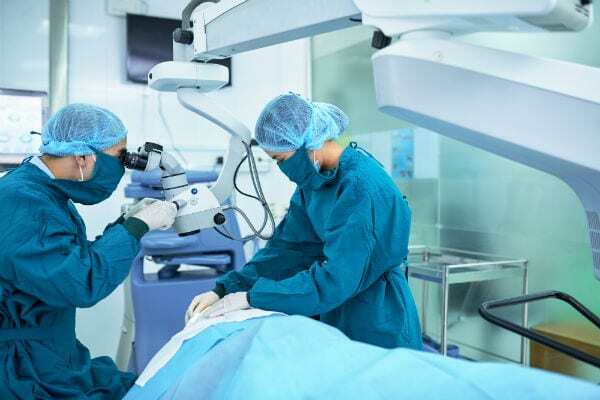 For those whose cataracts are severe enough to affect their day-to-day lives, a simple outpatient surgical procedure is all that’s needed to fully restore their vision. This type of surgery is typically performed with a local anesthetic and can be completed in half an hour. Phacoemulsification involves making a tiny incision and inserting a probe into the eye. Using ultrasonic vibrations, the clouded lens is dissolved and extracted, making room for a new synthetic lens to be inserted. Extracapsular cataract surgery is used when the lens can’t be extracted via phacoemulsification. Because this type of surgery requires the use of sutures, the recovery period is generally longer. Intracapsular cataract surgery is used only when eye trauma makes the other options too risky. This procedure involves a larger incision and the removal not only of the lens but the surrounding capsule as well. Glaucoma is another condition affecting senior citizens, people with diabetes, and many more. Unlike cataracts which can be repaired surgically, fully restoring vision, the consequences of glaucoma can’t be reversed, only mitigated. The main risk associated with glaucoma is increased intraocular pressure (inside the eyeball), which over time can permanently damage the optic nerve. Surgical eye care options for glaucoma include conventional and laser procedures, both of which use a small incision in the eye to help drain fluid. Laser surgery is generally the less invasive option; however, in more severe cases, your ophthalmologist may recommend conventional treatment instead. In both cases, enlarging the eye’s drainage system allows fluids to drain more easily, lowering intraocular pressure and decreasing the risk of permanent damage to the optic nerve. One increasingly popular form of surgical eye care is lid repair, performed to correct a drooping eyelid. While this procedure serves an obvious cosmetic purpose, there are equally valid reasons for the procedure directly related to eye health. One common reason is a condition known as ptosis, which causes the upper eyelid to droop over the eye, sometimes so severely that it obstructs vision. In cases like these, eyelid repair can not only improve the patient’s appearance, but restore quality of life associated with vision impairment. These are only a few of the surgical procedures most commonly performed in the service of eye care today. Please note that this article is for informational purposes only and should not be considered an adequate substitute for medical care. If you have any further questions, or to schedule an appointment, please contact Florida Eye Specialists and Cataract Institute.